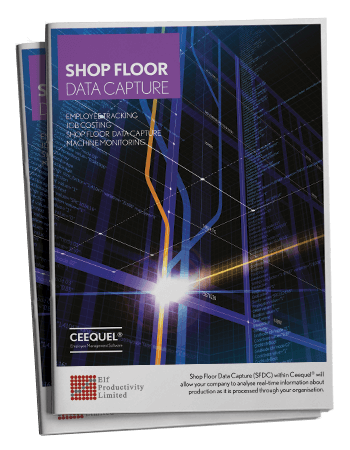 Ceequel® Shop Floor Data Capture software is capable of monitoring employees as they move from one activity to another, recording time spent by means of a simple swipe. The system calculates elapsed time against each activity, taking into account any time and attendance transactions that may have taken place. This way you can view the balance between the times recorded for projects/activities and hours captured by time and attendance. By linking up with manufacturing systems you'll be provided with accurate real-time intelligence on individual and general performance rates. View our Shop Floor Data Capture timeline to see it's usage over an average day. Such precise actual costs and completion forecasts provide an indispensable project management tool, which thanks to a maintained historical database can also enable more accurate future estimating. Our activity tracking module allows for the capture of real-time information about a specific project as it progresses through your organisation. Ceequel® can compare how long a job has taken against your standard time database or target/budget time meaning that performance-related pay can be calculated and automatically passed on to payroll. Our machine monitoring provides a crucial service to optimise the efficiency of all your manufacturing equipment. It can help to avert costly machine downtime by instantaneously identifying problems as they emerge calculating all machine costs per hour and assisting you in making the decision to purchase new equipment or not. There is simply no better way to monitor and control your manufacturing process.